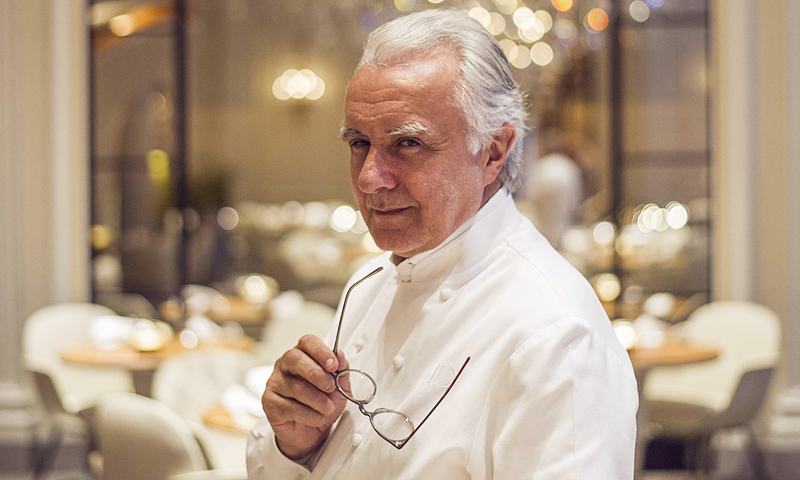 As one of the most celebrated chefs on the planet, Alain Ducasse has built a culinary empire using his mind-blowing skills in the kitchen. Recognized for his impressive contributions to French cuisine, his abilities are on par with culinary legends such as Bocuse and Escoffier. This famed chef and restaurateur is at the helm of several successful eateries and continues to expand his reach. 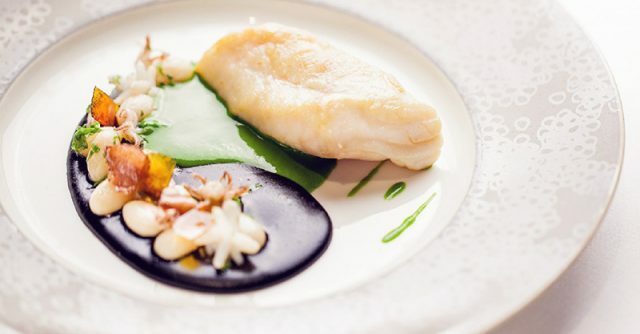 Garnering praise and accolades at every turn, he is one of just two chefs worldwide to earn 21 coveted Michelin stars throughout his career, and was also the first chef to own restaurants in three different cities each awarded three Michelin stars. In other words, his reputation is impeccable. Growing up on a farm in Castelsarrasin located in southwestern France, he made the connection between the source of food and dining from a young age. He would gather fresh produce from the garden, which would go straight into his grandmother’s hands to prepare simple yet beautiful meals. His interest in cuisine began during his childhood and continued to grow as the years progressed. His passionate and creative nature, paired with an outstanding work ethic and an obsession with detail, has served him well throughout his lifelong culinary journey. His career began in 1972 when, at just sixteen years old, he apprenticed at Pavillon Landais as well as the Bordeaux hotel school. His on-the-job training began at Michel Guérard’s restaurant and continued under Gaston Lenôtre. By 1977, he was working as an assistant to Roger Vergé who taught him the fundamentals of Provencal cuisine (a specific type of Mediterranean cuisine) which has remained as essential part of his culinary style. He held the official title of chef by 1980 at L’amandier, and one short year later became head chef of La Terrasse at Hôtel Juana. 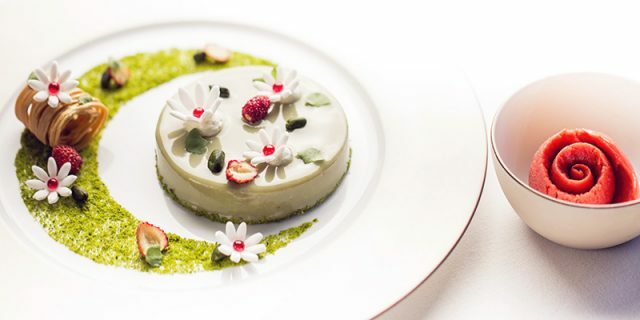 He moved on to the Hôtel de Paris in Monte Carlo in 1987 and after just three years there earned himself his first three Michelin star award. The rest, as they say, is history. 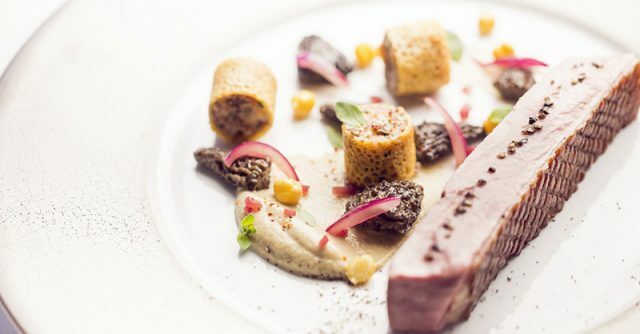 In the subsequent years, he has continued to grow as a chef and businessman, opening some of the most sought-after restaurants in the world including several in Paris. Although his life clearly revolves around cuisine, he has managed to take this passion and channel it in other ways. He has opened cooking schools to share his incredible wealth of knowledge with both chefs and the general public. He has authored several books focusing on the culinary arts, and also heads a training and consultation business. In addition to his large number of restaurants, he operates several inns and even owns a chocolate factory. 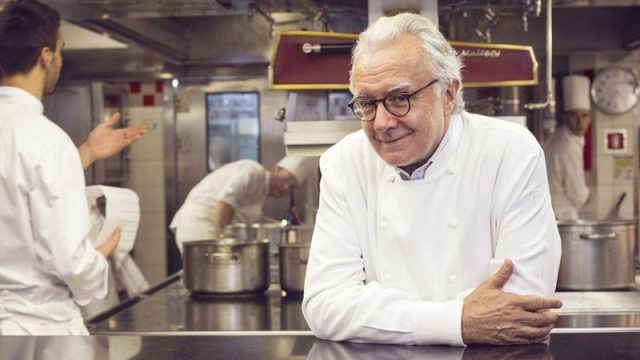 He earned a Lifetime Achievement award on The World’s 50 Best Restaurants List in 2013. His fame is so widely known and appreciated that he has appeared as a special guest on MasterChef in both the U.S. and Italy.